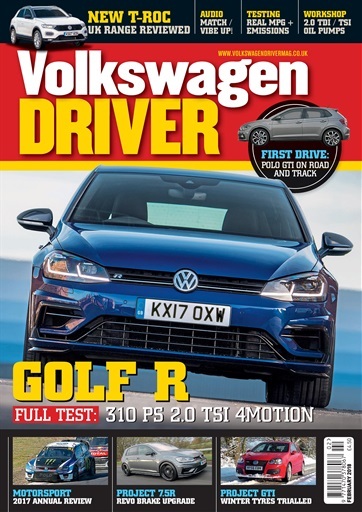 In the February issue of Volkswagen Driver magazine: Full 9-page road test of the Golf R 2.0 TSI (310 PS) 4Motion 6-speed manual, a first drive of the new Polo GTI on road and track, and a review of the new T-Roc UK range. 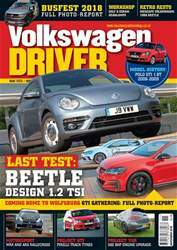 On the performance front we review the success of VWs in motorsport in 2017, Project 7.5R gets a Revo big-brake upgrade, and the GTI Edition 30 tries out Bridgestone Blizzak tyres in the snow. 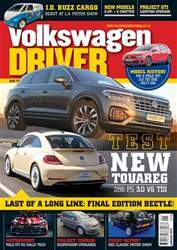 We also report on the new WLTP mpg / emissions testing and an autonomous Touareg in the snow, upgraded audio in an up! replacement oil pumps for TDI/TSI engines and review a range of products & services. from Goodridge brake hoses for Corrado to a new MQB intercooler from Revo. 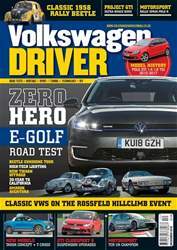 We also compare the Touran 1.6 TDI with Vauxhall Zafira 1.6 CDTi SRI. 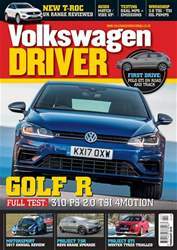 Plus: Road test index, subscription offer, specialist trade index and pages of classified ads for cars and parts for sale.